Our mission is to enable disabled people to remain fit and healthy. It is often a challenge to keep the body in good condition. For example, the fitness of the body can decrease rapidly after becoming a wheelchair user; important muscles become inactive and are often neglected. This causes the body to become weaker and can result in a decrease in life expectancy. It is often not possible for disabled people to have an effective work out from home. BerkelBike BV wants to solve this problem through technical innovations and make it possible for disabled people to work out comfortably. Our BerkelBikes (with electrical stimulation) provide a solution. By activating and stimulating certain muscles, it is possible for the user to cycle using their own muscles. This way, it is possible for the user to build up their stamina and fitness level. The BerkelBike can be powered by either arms or legs and even both at the same time. Even if you are paralyzed. This means that the rider will be getting a much greater workout than only using one set of limbs. This is the only outdoor cycling system capable of this. BerkelBike makes it possible for impaired individuals to ride a bicycle again using power from their own muscles. The electrical stimulation will utilize paralyzed leg muscles so the whole body is involved with the cycling, so no engines are required anymore. It can be difficult for wheelchair users to keep their bodies fit and healthy. Often people with spinal cord injuries or neurological disorders cannot move certain limbs or muscle groups. The BerkelBike can train these muscles again and help to keep the riders fit through cycling. Our customers are often people with limited or no function in their legs. Many of them thought that they could never again cycle with their legs. In addition, we have plenty of customers who simply have problems keeping their balance or even have no impairment at all. Our products have become an integral part of their daily life. 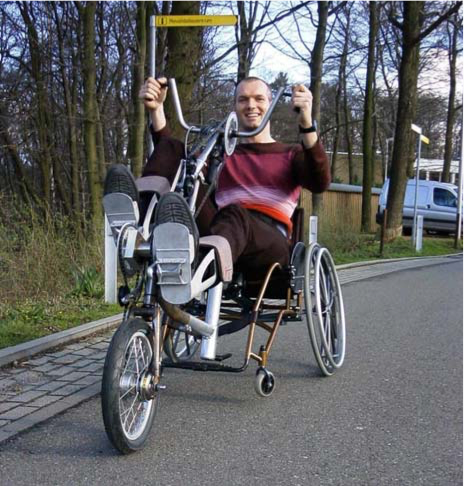 The BerkelBike is a combination of handcycle and recumbent bike driven by the power of both arms and legs. If you have limited or no use of your legs, this propulsion system will enable you to support the movement of your legs with the strength of your arms and shoulders. 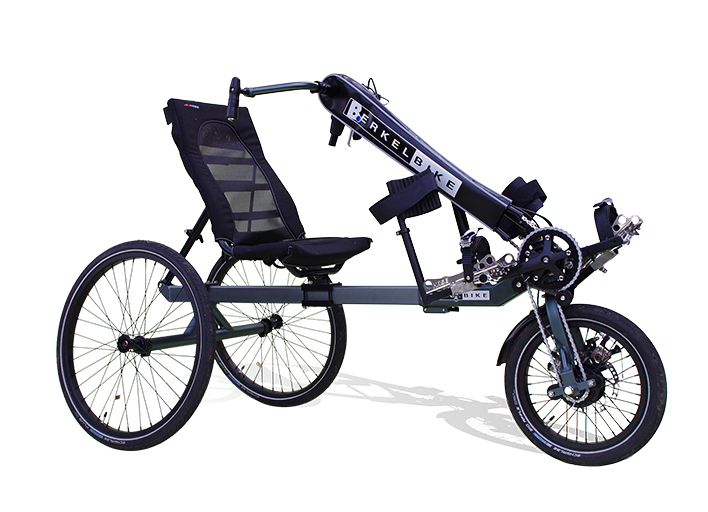 We also offer a more conventional tricycle, the EasyLegs. Like the BerkelBike, it is characterised by its low weight, great stability, and the fact that it can be customised in length, width, seating height, and angle. Our bicycles are available as a complete tricycle that can be taken apart for ease of transportation or as a one-wheeled device that can be connected to your own wheelchair. Additionally, if you suffer from paralysis, the bicycle can be equipped with our Functional Electrical Stimulation (FES) system, enabling you to include your paralysed legs in the movement. 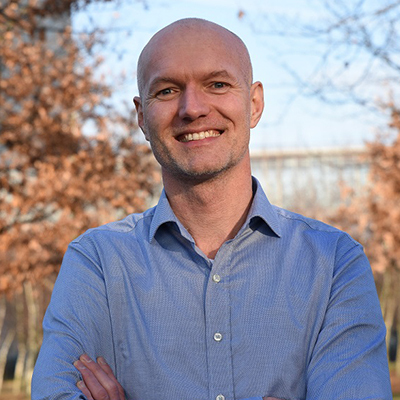 ”When I was a student at the University of Nijmegen, I read an article about people with spinal cord injuries receiving Functional Electrical Stimulation. This electrical muscle stimulation was used to restore muscle and organ function, as well as prevent indirect medical complications associated with the paralysis. The article described a paralysed person sitting on a stationary bike equipped with a stimulation device that evoked muscle contractions in legs and buttocks. In doing so, the electrical impulses were coordinated in such way that a cycling motion was generated. The article explained that the patients had to come to a special laboratory on the university campus to get such treatment. I immediately thought to myself that this treatment should be made accessible to people in their homes. During the following years, I carried this idea with me as I continued studying and working at the university. Because of my studies in toxicology and exercise physiology I have always been aware of the consequences of a spinal cord injury. Paralysis is not only devastating in itself but is also accompanied by issues like severe muscle and bone wastage and decreased blood circulation, which can result in tissue problems. Furthermore, if you cannot move your body enough, there will be a greater risk of heart and vascular disease. FES offers a solution to such problems, especially when combined with cardiovascular exercise. The problem, however, was that appropriate stimulation devices were rarely seen in rehabilitation centers, let alone in the homes of those who needed them. My idea was to combine the FES technology with a compact stationary bike or a tricycle to enable the user to train at home or even outside on the road. I recognized that there had already been attempts to construct a bike with FES technology in six different countries. However, the restricted distance that could be covered by the power of functionally stimulated muscles alone made all earlier attempts rather worthless. To support the movement of the stimulated muscles and get more out of the training, I decided to combine FES technology with a tricycle propelled by the legs as well as by arm power. “I refined my ideas in 2000 and sent the sketches to three institutions to get a subsidy. Back then, I was still working at the University of Nijmegen and finding the means to finance further development of my idea was a top priority. A few months later, I won the “Millenniumprijs”, a Dutch advancement award, with the first technical drawings. The first prototype could be built. In 2002, the prototype was awarded the Herman Wijffels Innovation Award. 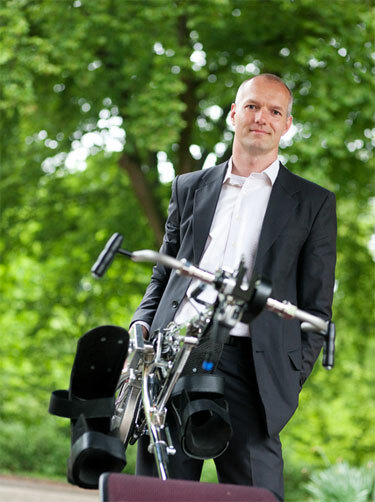 It was then when I decided to quit my job to work on the project full time and soon after I founded the company BerkelBike BV. Further funding followed, and several prototypes were built. On top of this, it was now possible to conduct a first clinical trial to investigate the effects of the BerkelBike. Ten people with a thoracic spinal cord injury participated in the study that was carried out in cooperation with the Sint Maartenskliniek rehabilitation center and the medical faculty of the Radboud University Nijmegen. During a period of 16 weeks, we measured how the training with the BerkelBike affected their body condition. The results were promising! Not only was there an increase in muscle mass and blood circulation in the legs of the participants, there were also clear signs of improved oxygen uptake and metabolic activity when compared to training with a standard handbike. What started as an idea to help people with spinal cord injury turned out to be useful for various medical conditions. By now, hundreds of people in over 20 countries suffering from more than 20 different diseases are using the BerkelBike. Also, people of whom you wouldn’t expect that they could benefit from the BerkelBike, have come to appreciate the propulsion system and the overall flexibility of the product. For example, who could have imagined that today, a legless veteran would describe the BerkelBike as an integral part of his daily life. The flexibility of our products has become an essential part of our identity as a company. 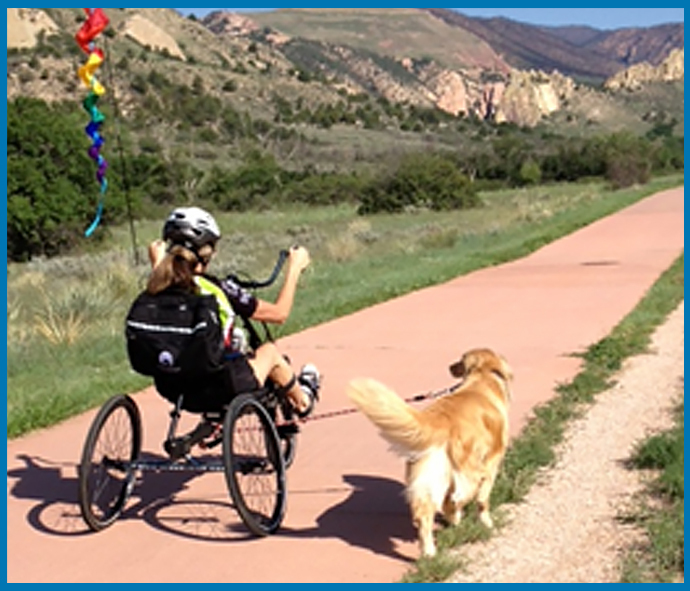 We strive to make it possible for everyone to use our bikes, no matter the disability. Therefore, we offer a great wealth of accessories to adjust the bike to your special needs, and we have undertaken plenty of individual adaptations in cases where our accessories weren’t enough. From anti-pressure sore cushioning and dog baskets to controlling the bike without the use of your hands, just give us a call and we will do everything in our power to find a solution to your situation. The development of the BerkelBike and the BerkelBike FES system was made possible in cooperation with Flevobike, Nijland Revalidatie Techniek, Syntens, JWA Systems and Brainquiry R&D. Special thanks go to Peter Claus and Ben van den Dolder. 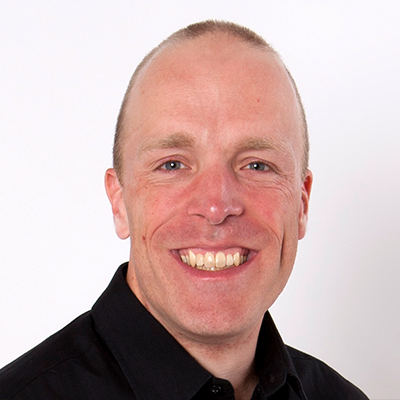 Rik studied Sports Science (exercise physiology) at the Vrije Universiteit in Amsterdam and Chemistry (toxicology) at the Radboud University Nijmegen. He resigned from his Ph.D. at the university to research FES and to develop an exercise possibility for spinal cord injured. Frans has worked in the dairy industry as an all-round troubleshooting technician. He has made use of all disciplines belonging to the profession, such as welding, turning, milling, electrical and assembly work. He is currently in charge of the technical maintenance for BerkelBike. He assembles our bikes and is responsible for part of our test rides. Frans is interested in photography and motorcycling. 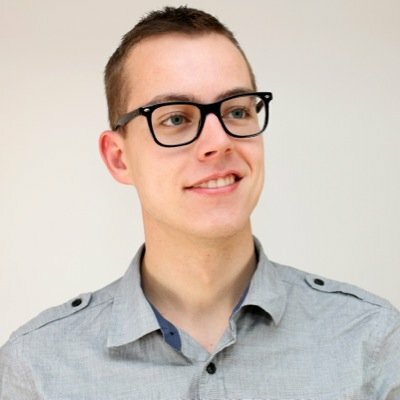 Bjorn studied Industrial Engineering & Management, specialising in Logistics at the University of Twente. He has 6 years of experience in transporting people, mainly with a disability. After graduation, he did community service during traveling in the USA, Europe, Japan, and Thailand. 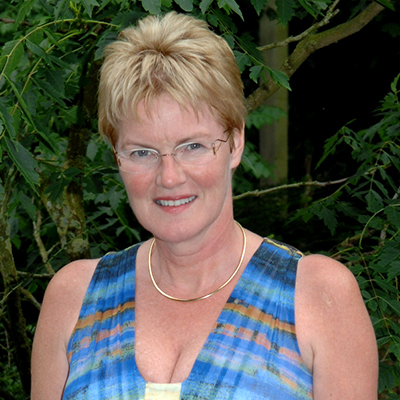 Dianne Berkelmans is Rik’s sister. She has completed an automation study and international logistics training. 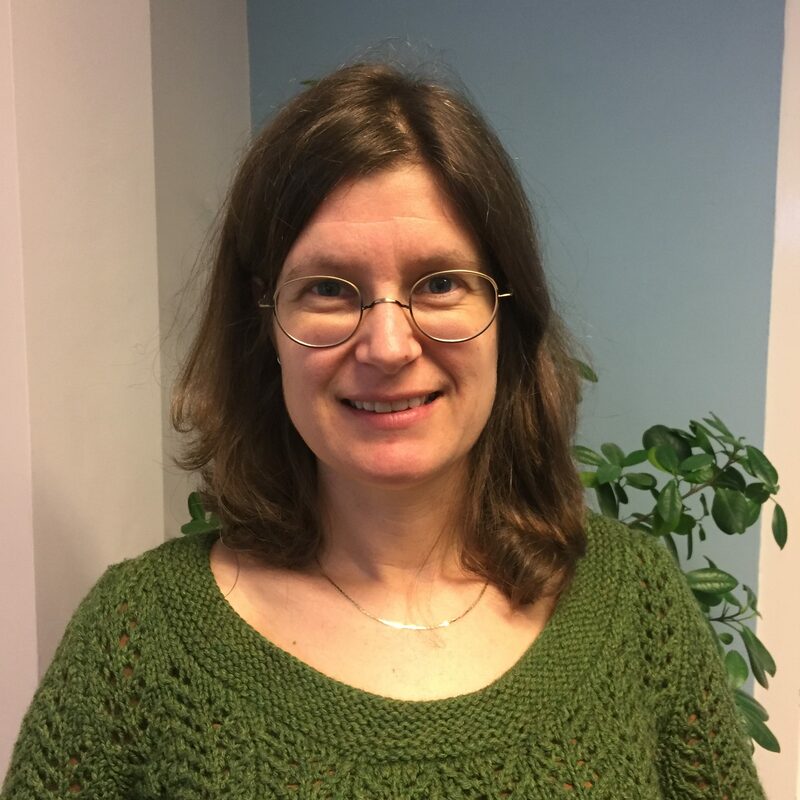 Her activities for BerkelBike consist mainly of collaborating at various trade fairs and updating the newsletter database. She has been working for BerkelBike since the foundation of the company. Calvin studied Communication, specialising in Digital Media at Rotterdam University. He specialized further in online marketing, digital media, and content production. Besides his study, he started his own company, where he helps companies to create brand experiences for customers. Margje followed the training gold- and silversmithing at the Vakschool Schoonhoven. Apart from metal she has always worked with textiles and has a lot of experience with different materials and production methods. Production, assembling, and further development of the FES-stimulation and the shorts fit in well with her background. 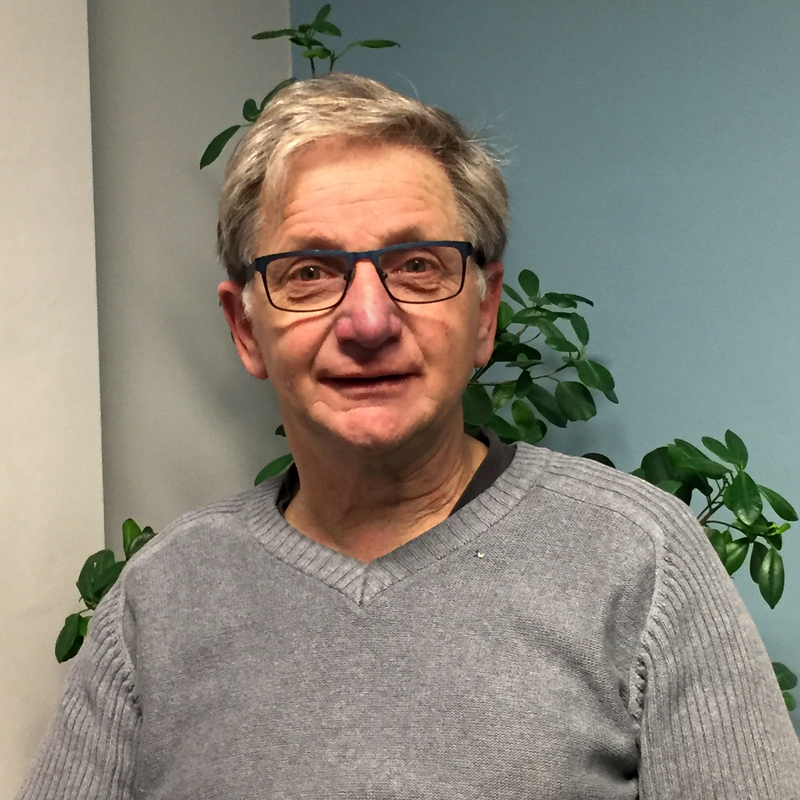 Paul: ” As a paraplegic and active wheelchair user of some 35 years I know only too well the importance of keeping fit and active for living longer with less medical complications. From being a postgraduate of sports science from Loughborough University and former Paralympian, my passion has always been to promote innovative equipment that will enhance the lives of fellow Disabled individuals and the health benefits that they offer.